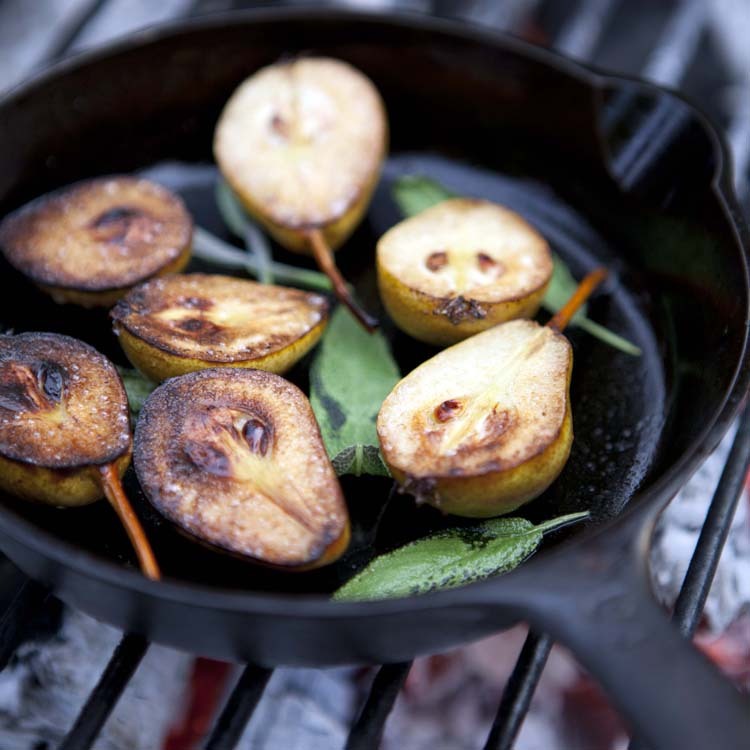 Place a cast iron pan on a grill over hot coals to preheat. Place the duck breast skin side up. With a sharp knife, score the breast through the skin and fat (scoring allows the fat to be released while the breast is searing and helps the skin cook to a crisp texture). 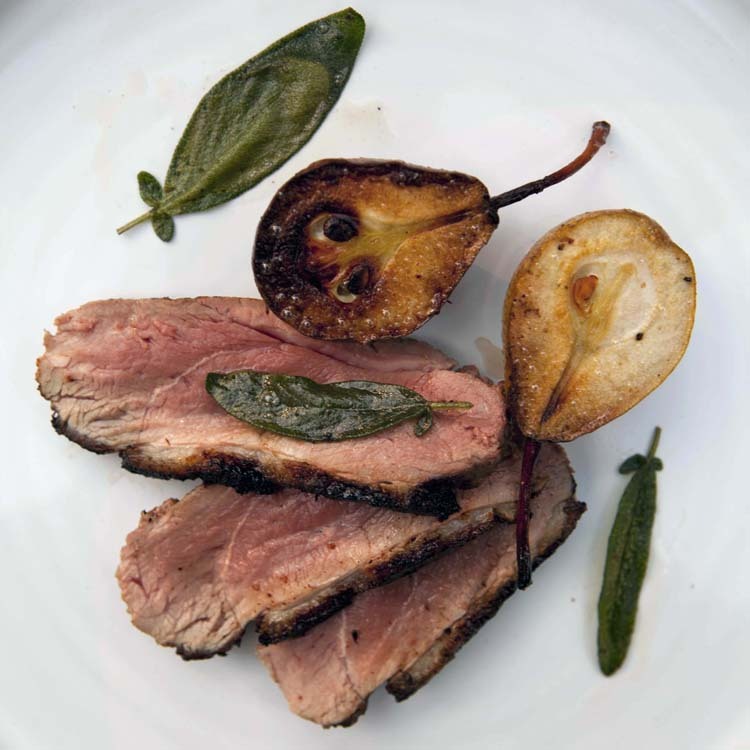 Remove the pan from the heat, cover loosely, and let the duck breast rest for 5–10 minutes. Place a small cast iron pan on the grill to preheat for 1–2 minutes. Fry the pear halves on both sides until golden-brown, about 1 minute per side. Cook the sage leaves until crisp, about 30 seconds.